With all the furore surrounding a certain futuristic, free-running FPS that’s sitting atop the charts right now, the guys at Infinity Ward have unleashed yet more DLC to keep the Call of Duty faithful happy. 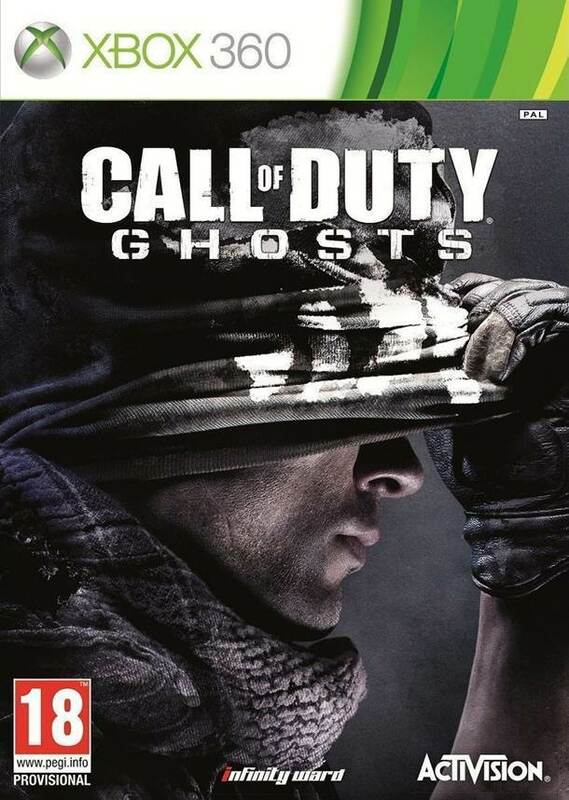 Consisting of four medium-sized multiplayer maps, a new weapon called the Ripper and the next instalment of its alien-themed episodic Extinction story, the second map pack for Call of Duty:Ghosts means you certainly get a lot of bang for your buck! Of the new multiplayer arenas on offer, Ruins seems to have immediately become a fan favourite, consistently garnering votes in the always packed lobbies. Set in a in the Mexican jungle, the map blends an array of winding tunnels and temples with open overground sections. While graphically and aurally impressive, there’s little time to gawp at the surroundings as this is a hectic playspace, with the level’s maze-like qualities meaning there are plenty of opportunities for enemies to strike when you least expect. A volcano looms over the ruins, ready to erupt and rain down all kinds of hell too! And whereas the previous Onslaught DLC pack had the masked Michael Myers as a reward, this time round you occasionally get to step into the mask of the Predator, complete with stealth, thermal vision, awesome weaponry and that trademark maniacal laugh. "Another highlight is Collision - a frenetic map perfect for close quarters combat - set aboard a tanker that’s collided with a massive suspension bridge in New York. It all makes for a pretty good spectacle with players having to make their way around the wreckage, navigating containers, cars and other debris." Another highlight is Collision – a frenetic map perfect for close quarters combat – set aboard a tanker that’s collided with a massive suspension bridge in New York. It all makes for a pretty good spectacle with players having to make their way around the wreckage, navigating containers, cars and other debris. 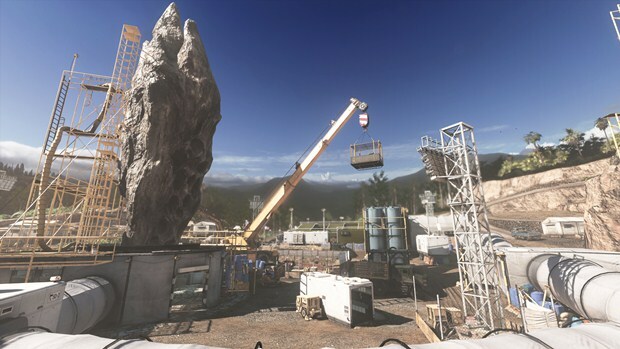 It’s more than a little reminiscent of the Wet Work multiplayer map from Call of Duty 4: Modern Warfare – which used to be one of my favourites. With ladders to scale and various decks to access, there are some great choke points and sniper spots to help you rack up the kills too. Be successful and you’ll be able to call in air support in the form of an A-10 Warthog – an absolute beast that peppers the arena with gunfire. Up next is Unearthed, which many of you may recognise. It’s a reskinned version of Dome from Modern Warfare 3 and takes place at an excavation site. There are tunnels, labs, diggers, a giant moveable crane and, of course, the central “dome” that offers an elevated area ripe for sniping. This isn’t a normal archaeological dig though; this was a search for alien artefacts… Complete this map’s Field Order and players can call on three of the Cryptid beasties to seek opponents and self destruct with a satisfying splatter sound effect. Keep an eye out for the hidden Easter Egg too – a deadly Venom X alien weapon that shoots green gunge! 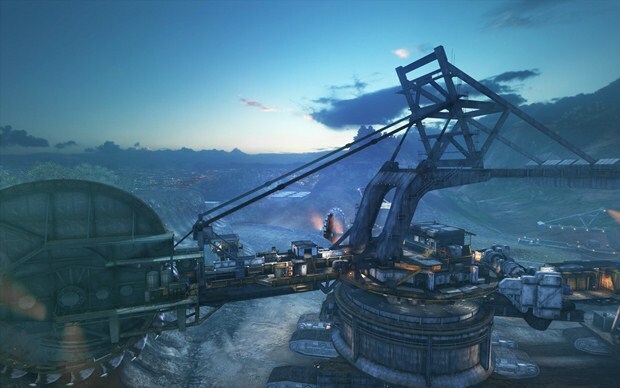 Finally, there’s the suitably named Behemoth map, set in Columbia on the back of a giant excavator – complete with spinning saw. This very industrial setting is long and thin, and boasts multiple layers. What this means in practice is that feels small and cramped, so you’re never too far away from a gun-toting enemy. Besides close quarters combat, the long line of sight makes it ideal for some sniping too. This map’s Field Order takes you to the skies and in control of an attack helicopter to pick off your unsuspecting foes below. "All in all, Devastation is a good package and a worthy download. 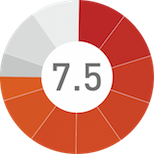 Each of the maps is suitably interesting and will appeal to players’ different tastes." All in all, Devastation is a good package and a worthy download. Each of the maps is suitably interesting and will appeal to players’ different tastes. Personal highlights are Ruins and Collision, but the inclusion of the new weapon and cameo from Schwarzenegger’s nemesis is most welcome. The new Extinction episode also adds some considerable replay value to the pack too. This game reviewed on Xbox One. Four new mulitplayer maps, hybrid guns, fun story mode and… the Predator! Decent package… just a slight shame one map is a remake. DLC is another hit to the wallet. Another map pack from Infinity Ward breathes fresh life into Ghosts.